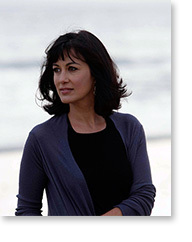 Virago will publish Polly Samson’s new collection of stories Perfect Lives on 4th November 2010. She is the author of the story collection Lying in Bed and a novel Out of the Picture both published by Virago. She has written lyrics for two number one albums: Pink Floyd’s The Division Bell and David Gilmour’s On An Island.